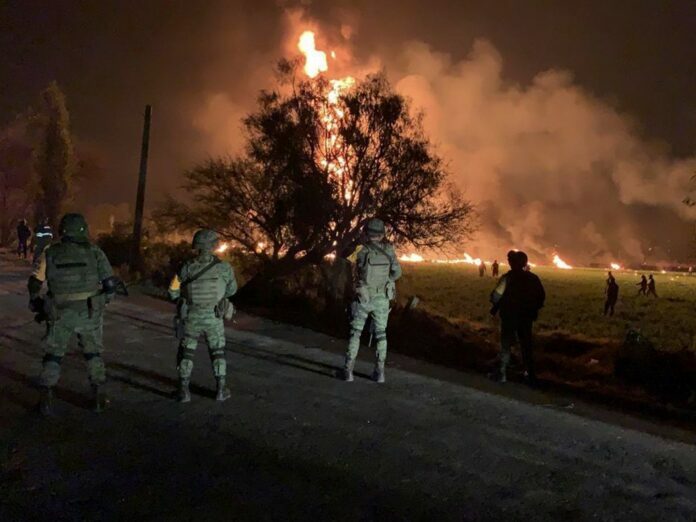 Iranian Foreign Ministry Spokesman Bahram Qassemi has sympathized with the Mexican government and nation over the heart-clinching incident in a fuel pipeline blast in the Latin country which left tens of people dead, injured and unaccounted for. In a Saturday statement, Qassemi underlined that Islamic Republic of Iran stands by the government and nation of Mexico in the current hard situation. He also expressed Iran’s preparedness to offer any type of assistance to Mexico. The spokesman also empathized with the relatives of the victims of this tragedy and wished good health for all of the injured. Mexican authorities have put the number killed in Friday night’s fuel pipeline blast at 66, with scores more injured. It is believed the explosion took place after the line was ruptured by suspected fuel thieves in the town of Tlahuelilpan, in Hidalgo state. Officials say scores of people had been scrambling to fill up containers and were engulfed in an inferno.